Your pets are important members of your family. When you make the decision to move to a new home, you do not want to leave these family members behind. Planning your move ahead of time is the best way to make sure that you and your pets make it to your new home successfully. Remember that any change can be very stressful for your pet, so it is important to avoid as many stressful situations as possible. Pets have an instinctive fear of new surroundings; you want to help them adjust quickly. You may first want to research the laws and requirements of the state your new home. Some cities and/or may require different things than the place you currently live. You might have to apply for a certain permit or carry special insurance in order to keep your pet in that area. Make sure to verify what shots are required before you bring your pet into a new place. You might try contacting the State Veterinarian in the capital city of your new home state well in advance to go over specific laws. Visit your local Veterinarian, it is vital to the health of you and your pet that you schedule a checkup before you move. This will help to ensure that your pet is in good health and has all the necessary vaccinations it will need for its new home. 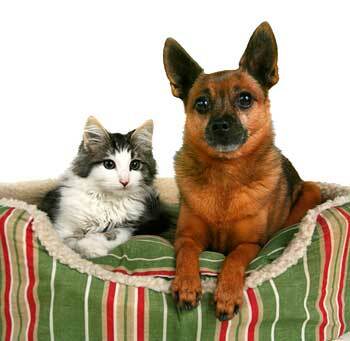 You can also make arrangements for your pets’ records to be sent to a new veterinarian. Plan ahead of time for lodging, many motels or hotels are pet friendly; be sure to book them ahead of time. If your pet is not accustomed to car travel, start out slowly by taking short trips around town with them. This will accustom them to car motion and teach them travel manners. Many cats are frightened of car travel, but usually become accustomed to it quickly. It’s also a good precaution to have your pets nails clipped before the trip; this will prevent scratches and upholstery damage to the car and possibly other passengers. You can speak to your veterinarian about a sedative or tranquilizer to help your pet out if needed. Your pet must become used to a new house and neighborhood, unfamiliar sounds, water that does not agree with them, and a colder or warmer climate. Once accustomed to the changes, the pet will settle down and be content. You may want to keep your pet confined until it realizes that this is its new home and their family is going to stay here with them, they could possibly wander off and try to return to the old home. To help speed up this process use your pets familiar food and water dishes, bed, blankets, toys and the like. 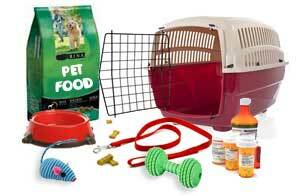 Try to place these items in a familiar pattern to the pet, try to recreate their home environment in their new home.